Elementary Matters: Are you ready for the big game? 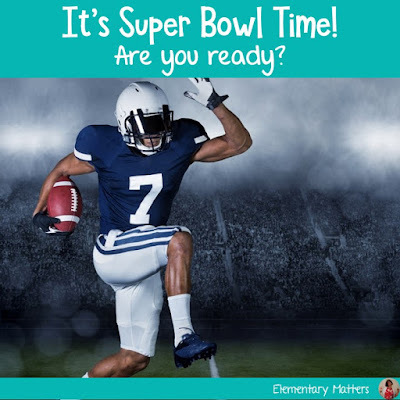 If you're like me, you're taking advantage of the enthusiasm for the big game coming up! There's a ton of kid-related Super Bowl videos on YouTube. Just google "Super Bowl for Kids!" Here's one I found. The commercials are often the best part of the Super Bowl. I'm thinking I might have the children vote on their favorite. then make a graph of the voting. 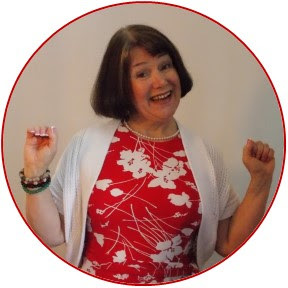 I'm sure you can find more YouTube videos that you can relate to classwork! 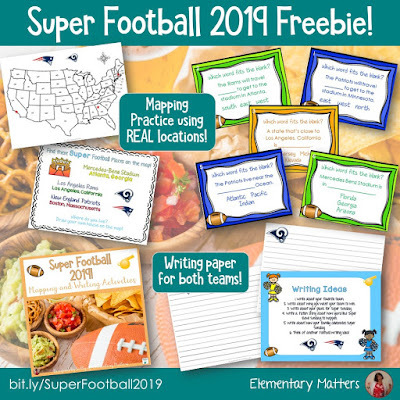 Here's a Super Bowl freebie with mapping and writing! Just click the image. Here's a football themed gameboard, with 4 different games that could be played on it. Here's a freebie version of the above game, which practices Counting to 1,000. 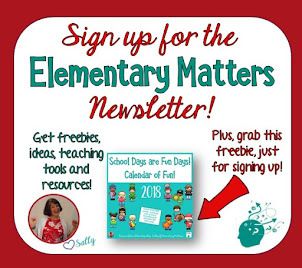 Just click the image for the freebie! 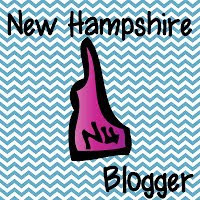 This game can be played a few different ways, and always has the children giggling! All the verbs are football related, too! Football Past and Present Verbs. I also have a couple of "twin" football BINGO games. 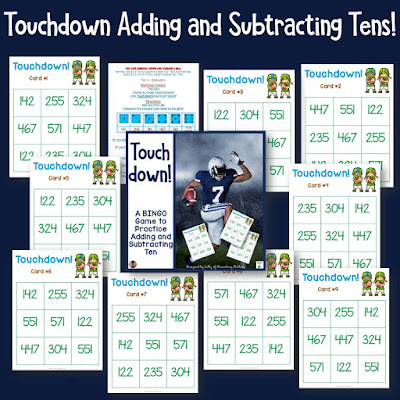 This math game practices adding and subtracting tens. 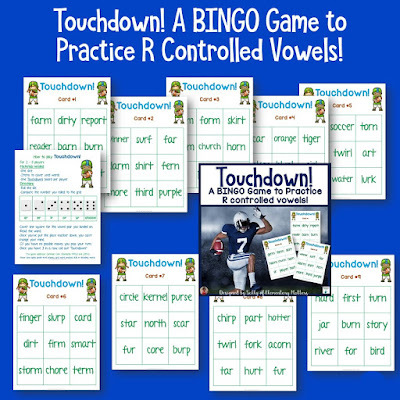 Here's the literacy "twin," Touchdown R-Controlled Vowels. 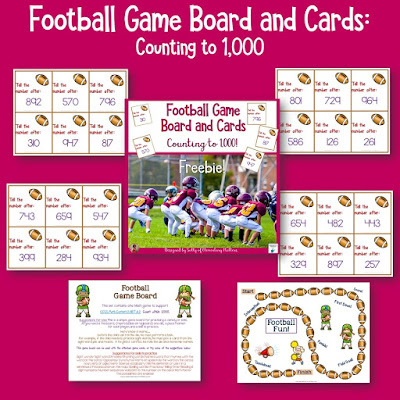 Now here's the fun: all these football themed resources are now bundled at a great discount! 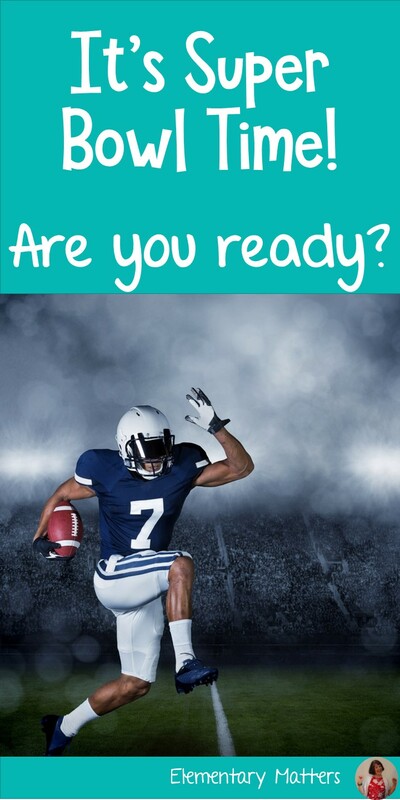 With the excitement of the Super Bowl, having football related games will keep them engaged, and they might not realize that they are practicing important skills!